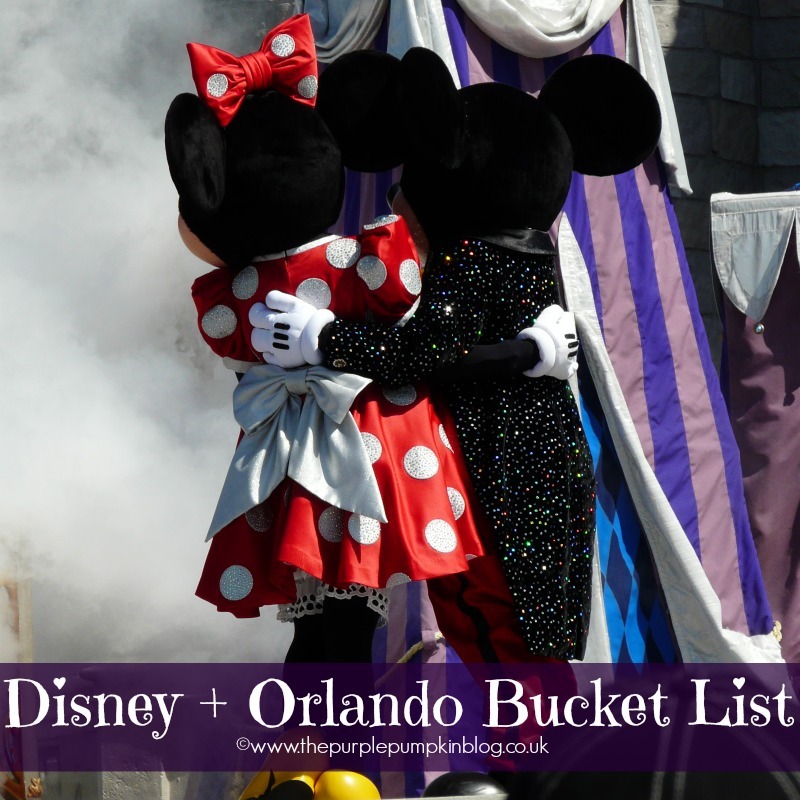 I’ve been wanting to write a bucket list for a long time – it’s at the top of my bucket list to write one (^_^) – I’ve want to write one for my life, for before I turn 40 and this one, for Disney + Orlando. Some of the things on our bucket list will get done this visit, some will have to be in future visits, and I may well add to this as time goes by! Since we’re back from our most recent trip, I thought it was time to update the list! Find the Delorean at Universal and take a photo with it. Go on a Hidden Mickey finding quest! I’ve shared my bucket list…what’s on yours? !